As our Director of Investments & Client Services, Aaron Berg plays an integral role in the continued success of our practice. In addition to helping our advisors oversee the preparation and ongoing management of our clients’ individual financial plans, he is responsible for quarterly & annual financial updates and investment portfolio reviews, including recommendations to our advisors and implementation. With over 14 years of experience in the financial services industry, Aaron’s extensive knowledge includes relationship management, comprehensive financial planning, tax management, cash flow strategies, retirement planning, estate planning, portfolio policy and analysis, and more. He brings a truly holistic value to our practice and our clients. Aaron assists our advisors in spearheading our clients’ Awareness, Strategy, and Execution meetings, as well as clients’ Semi-Annual and Annual team meetings and financial plan reviews. Outside of the ASE family, he also engages other industry professionals and our network of strategic partnerships to assist our advisors in delivering holistic financial planning and advice. 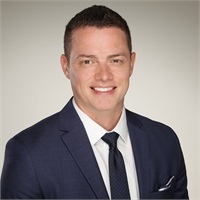 Prior to joining ASE Financial Advisory Group, Aaron worked for a number of leading firms including PNC Investments, Palmetto Premier Advisors, and a Private Wealth Advisor with BB&T Wealth. He also served as Branch Manager with Wells Fargo Bank in Greenville. Outside of the office, Aaron looks forward to spending time with his wife, Ethel, their two boys, Sebastian and Spencer, and their Golden Retriever, Bentley. He also enjoys volunteering as a coach for his son’s baseball team. Actively involved in his community, Aaron served as a Team Captain for the American Cancer Society and Leukemia & Lymphoma Society as well as the American Heart Association.